FindLegalForms was founded in 2001by two California attorneys with a successful track record and who are known for charging very low fees. From there they saw a need for low-cost access to frequently used legal forms and that's when FindLegalForms was formed. FindLegalForms has a comprehensive library of top quality attorney-prepared legal forms at your disposal without all the expensive attorney's fees and they currently have over one million satisfied customers, which says a lot! You can easily find, purchase and download any of the thousands of legal forms they have available in just minutes. Making it easy for people to locate the legal forms they need out of thousands of forms available is extremely important as this will save quite a bit of time and money. Whereas other legal forms providers have websites that are cumbersome and difficult to use, especially after you have spent a significant amount of time trying to find what you need in the first place. FindLegalForms has thousands of accurate legal forms and documents and they understand the laws that vary from state-to-state. That means you will receive the exact forms you need to be in compliance with the laws of your state. And all forms were designed to be user-friendly and they come with comprehensive instructions and checklists to help you every step of the way. Once you have selected the forms you need, they are available for instant download, which means you don't have to wait to receive and complete any of your legal needs and you won't have any downtime as a result. And you can use your new forms as many times as you need. FindLegalForms also provides forms for a wide variety of countries, such as: US, Canada, UK, Australia, India and for your convenience they also have a multitude of free legal forms as well. With FindLegalForms you are given a 100% 60-day no questions asked money back guarantee. We like to see this as it displays the company's confidence in their product. The team at FindLegalForms is made up of attorneys, software engineers, programmers, designers and customer service representatives who take pride in what they do. The attorneys run this company and they draft, review and maintain all the forms. Then they turn over the day-to-day functions to the appropriate department for implementation and support. FindLegalForms offers live customer service Monday through Friday from 8:30 am - 5:30 pm pacific time. You can reach them via phone or online via the contact form on their website. So it seems they are not trying to hide their contact details as they have their phone number, address and contact form prominently displayed throughout their website. FindLegalForms has other services as well, such as free eSignature, legal articles, legal guides, a find a lawyer service and a subscription service for secure online storage and editing. There really isn't much bad to say about FindLegalForms. However, there are a few things you should be aware of before you make a purchase. Just prior to checking out, FindLegalForms will ask you if you would like a subscription at $4.99 for secure online storage for editing and storing your forms. If you do not want this service, you must check the no thanks box; otherwise, their system will charge you this fee as part of your purchase. That means you need to pay attention and not get in too much of a hurry while completing your purchase or it is going to cost you an additional $4.99. We feel FindLegalForms would be better served to ask you to check the box only if you want the subscription service, rather than hoping you won't see the already checked box and ending up with additional fees you were not expecting. This just creates a negative experience from the moment of purchase and could leave enough of a negative impression that a customer might not use their services the next time they need legal forms. And that's just not good business, which is reflected on a few negative complaints that can be found when performing a general internet search. There were also a few other negative complaints we found after performing a general internet search for FindLegalForms which stated that the customer service they received was poor and non-responsive. And another complaint about not being able to download forms that were purchased, even after providing a receipt. However, these two complaints were several years old and we didn't find any recent complaints regarding either of those issues. Therefore, we believe that FindLegalForms has more than likely corrected any problems or ineffective employees since that time and that they take action when problems and complaints arise. If they didn't, you would certainly see ongoing complaints and there are none. This is a big thumbs up for FindLegalForms, because when you are dealing with people's legal matters, you need to have a competent staff who is proficient at handling all issues, good and bad, in a professional manner. 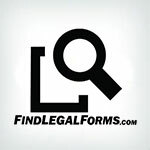 FindLegalForms is a bit limited as far as what they offer and how they offer it. For example, they only offer electronic forms, you can't opt to have your legal forms mailed to you. Additionally, they don't offer non-profit forms, immigration forms or a business attorney service, which could be a problem for some people and cost them potential customers who have a need for such services. You also have to be careful when placing your order that you download your forms in the right format. If you download your forms in the wrong format, you will have to contact customer service and they do charge you a fee to resolve this issue. FindLegalForms seems to be a legitimate business with reliable services. However, they are quite limited in what they provide and they don't offer any type of legal assistance, but rather a vast do-it-yourself legal library that for many people will just leave them dazed and confused. Because if you don't know what you need, how can you possibly look through a legal library to find answers? We have no problem recommending FindLegalForms for small businesses and people needing basic legal forms who know exactly what they need. Otherwise, it would be very easy to purchase the wrong type of form, if you don't thoroughly understand what you need. And this could lead to unnecessary legal problems down the road, which is exactly what you were trying to avoid by purchasing a legal form in the first place.